Question of the Week – What holiday collection is on your must-have list this year? Answer – Do you know… considering this is my favourite time of the year for collections… none of them. Maybe I’m getting jaded (and I really, really hope not) but nothing stands out to me. The closest I’ve gotten to an elevated heartbeat is the NARS & Andy Warhol Gift Set Collection (The Edie gift set is undeniably ca-ute). 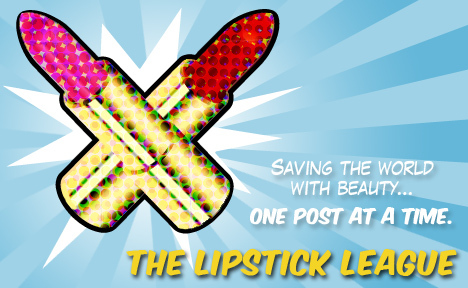 Gouldylox Reviews – This week brought us another makeup wars and this collection is my favorite. Nouveau Cheap – tries out one of the newly-reformulated Sally Hansen Complete Salon Manicure polishes. Come see if its duochrome magic is worth a purchase. Pink Sith – shares with you her Birchbox from November. Let her know your thoughts on this month’s offerings. Prime Beauty – got her hands on the newest collaboration between Estee Lauder and Michael Kors. These makeup kits are droll-worthy and the bags are to-die-for! Phyrra – From the depths of Mordor, Phyrra escaped with the Pumpkin & Poppy One Ring Collection. we heart this – posted eight MAC Holiday collection reviews this week, but this was the palette that had co-editor and taupe lover Stef in the biggest tizzy. Beauty Junkies Unite – Check out all the photos, swatches, and details for the new Urban Decay NAKED Basics Eyeshadow Palette! EauMG – Have a vintage vamp or gorgeous goth on your gift list? You must check out EauMG’s 2012 Holiday Gift Guide for Your Favorite Goth. Lipglossiping – sniffs out her favourite winter candles, the perfect accompaniment to frosty evenings and pitch-black nights. Guest Post of the Week, as chosen by Gouldylox Reviews – My favorite blogger of the week is none other than the lovely and talented Christine at 15 Minute Beauty Fanatic. Not only is she one of the most helpful bloggers I’ve ever met, she is always feeding my need to try more beauty products. Please check her out! How about you? What holiday collection is on your must-have list this year? Jo Malone limited edition Velvet Rose & Oud Cologne Intense and a new Covent Garden boutique!